Xylitol is a common artificial sweetener used in human foods and medications. Yet, xylitol is very dangerous if ingested by dogs. Why is this the case? The answer is related to (1) the body’s mechanism of controlling blood sugar through insulin release from the pancreas, and (2) the potential for damage to the liver. In humans, xylitol does not stimulate the release of insulin from the pancreas (nor does it cause liver damage). Yet when dogs ingest xylitol, it can be absorbed into the blood quickly, creating a potent release of insulin from the pancreas (1, 4). At high enough doses, the xylitol can also cause liver failure in dogs (2). Think about the typical course of events that work to control blood sugar levels after consumption of a meal. During a meal, the blood sugar starts to increase as carbohydrates are broken down. The pancreas releases insulin in response to rising blood sugar levels. This insulin binds to cells to signal them to allow blood sugar to be absorbed. As the blood sugar is absorbed and the pancreas detects the drop in blood sugar, the beta cells in the pancreas taper off the secretion of insulin. So if a dog eats something containing xylitol, and the xylitol is rapidly absorbed into the bloodstream, a large release of insulin can be triggered. With a large amount of insulin signaling cells to absorb glucose, the blood sugar levels can drop to dangerously low levels quickly. This drop can occur within 30 minutes of ingestion of the xylitol, but sometimes it can take longer for the symptoms to occur (1). Higher doses of xylitol can also lead to liver damage and even liver failure. Signs of liver failure may not develop for a few days after ingestion of xylitol. What symptoms will a dog exhibit with xylitol poisoning? What are some examples of products that might contain xylitol (1,2,3)? Would you believe there are 700+ products containing xylitol? For an incredibly comprehensive list of products containing xylitol, visit preventivevet.com. They have a whole page devoted to cataloging xylitol-containing products. How can you avoid xylitol poisoning in your pet? By taking the same steps you would take to prevent any accidental poisoning in pets! Put unsafe items in areas that pets cannot access. Pets are curious! Think of them like small children as you look around your home to decide whether things are set up in a safe way. Only use toothpaste labeled as safe for pets. Don’t share any human food with pets before verifying the food is safe for the pet. Many human medications may be flavored with xylitol. Don’t share human medications with your pet, and don’t administer over-the-counter human medications to your pet without veterinary instruction. 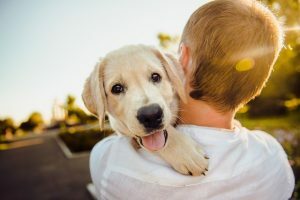 Sometimes, veterinarians need to prescribe human medications for pets, but your pet’s doctor will give you specific instructions on which medication and how much to use. Be prepared in case of accidents! Know who to call and where to go for pet emergencies. If your dog has ingested xylitol, work quickly to get them to the veterinary clinic so that emergency treatment can be initiated.